There is no doubt that people feel a special connection with their dogs, and vice versa. But did you know that dogs also have a special connection to the music we love as well? 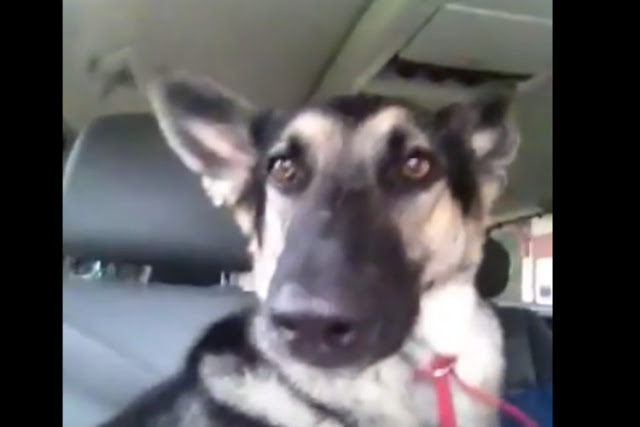 One adorable German Shepherd recently proved how big of a hip-hop fan she is with an incredible dance routine to Flo Rida’s “Get Low” – using only her ears! This gorgeous dog teaches us all we need to know about how smart and silly these incredible animals are. She clearly has a soul meant for dancing, wiggling her ears right along to the beat with a happy plastered across her face the entire time. While some YouTube comments are saying that this is obviously fake, they clearly are missing the point. Why spread hate when all this awesome dog wants to do is enjoy her life? All we can do is spread the love and share this clip with as many of you as possible. We spend our days shuffling to work and back, cooking, cleaning and not really having fun. If there is one lesson you can take from this silly dog, let it be this: sometimes all you can do is go out for a drive, put on some Flo Rida and dance to the beat. Life’s too short to be stressed!